Going by the teaser, Mohanlal and Suriya's Kaappaan (Kappan) has lots of layers peppered with high-octane stunts. The teaser from Mohanlal and Suriya's Kaappaan (Kappan) has left the fans spellbound. The 1.32-minute video was unveiled on the occasion of Tamil New Year on Sunday, 14 April, and the clip has managed to garner fantastic response from the netizens. The teaser was premiered at Rohini Silver Screens in Chennai at 7 pm. Although the plan to release in leading cinema hall was announced with a short notice, the fans thronged into the theatre with big numbers and they celebrated the occasion like new a film release. 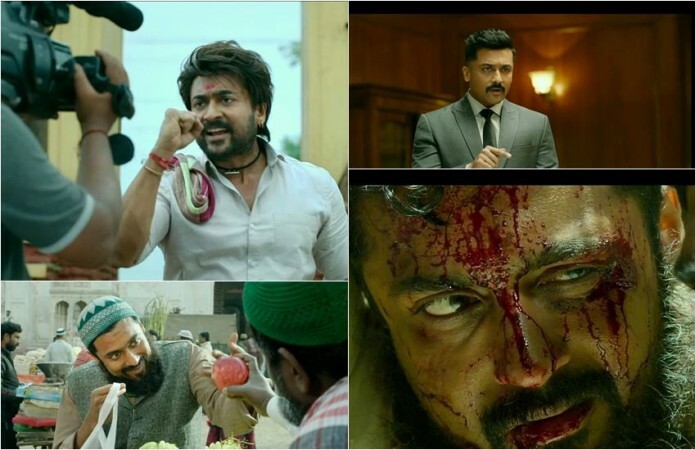 Going by the teaser, Kaappaan seems to be made on the lines of Suriya and KV Anand's earlier movies like Ayan and Maattrraan. His character appears to have strange qualities and comes with lots of surprises and twists. It looks like he is on a secret mission even as he is part of a few bomb explosions in the Tamil flick. Suriya is believed to be playing the role of a commando. While Mohanlal will be seen as a politician. Presumably, the film has lots of layers peppered with high-octane stunts. Like before, Anand presents his hero in multiple get-ups. Arya, Sayyeshaa and Boman Irani are seen in a few scenes even as the focus is completely on Suriya and Mohanlal's characters. In a matter of 12 hours, the teaser has garnered over 2.5 million views and racing towards 3 million hits. It is all because of Suriya and Mohanlal's starpower as their presence is attracting their fans to watch the clip, repeatedly. Looking at the trend, the clip has a strong possibility of crossing 6-million mark by the end of the day. Allu Sirish: Its on screen fireworks to see @Suriya_offl and @Mohanlal sir together. @arya_offl & @sayyeshaa you guys look great! @anavenkat : Sir, neenge vere level! Waiting for #Kaappaan in Aug 2019.